LONDON, February 11, 2019	(Newswire.com) - Axiomise®, a formal verification training, consulting and services company will have major presence at DVCon USA between 25-28 Feb 2019. 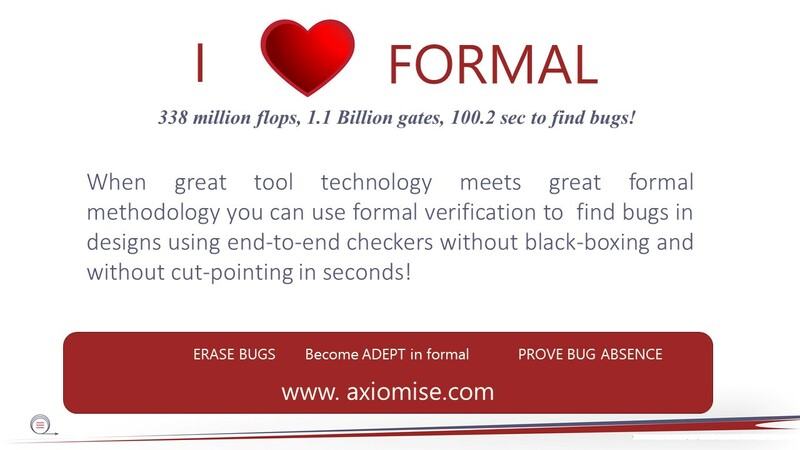 Dr Ashish Darbari, founder & CEO of Axiomise will demystify formal verification through several presentations. Dr Darbari will present a paper titled “Smart Formal for Scalable Verification, as part of the Formal Verification Techniques session” on Wednesday 27 Feb where he talks about techniques of bug hunting and obtaining exhaustive proofs on sequential designs. 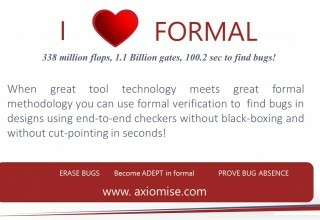 Recently, Axiomise reported finding bugs in seconds when carrying out end-to-end functional verification on designs with over 1 billion gates without black-boxing and cut-pointing using proof accelerators from Axiomise. Tackling proof complexity for control and datapath dominated designs is a known challenge for formal verification. In a tutorial on Thursday 28 Feb, Dr Darbari will join Synopsys® VC Formal team to present a tutorial on “Tackling the Complexity Problem in Control and Datapath Designs with Formal Verification”. Dr Darbari will be available throughout DVCon for any discussions and lively debates on formal. 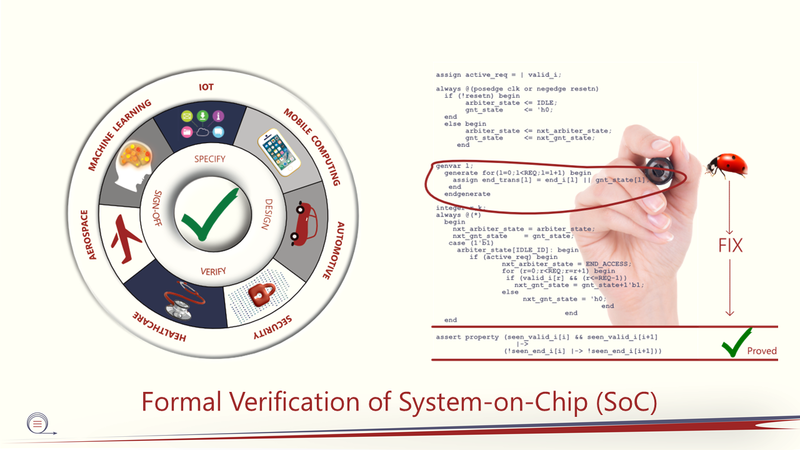 “Using formal verification to sign-off designs for functional, safety and security verification remains a challenging problem because we lack good methodologies. Both the talk on Wednesday and the tutorial on Thursday is an attempt in the direction of demystifying formal so more users can benefit from it and go beyond the automated use of apps. 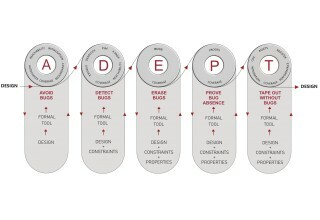 Recently, we introduced the ADEPT FV® agile flow for formal verification. In these talks, we will show how it can be used for finding bugs as well as obtaining exhaustive proofs”, says Dr Darbari, founder & CEO of Axiomise. 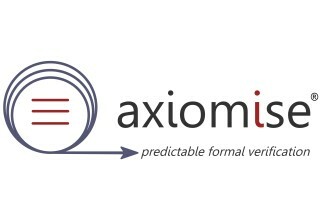 Axiomise is a formal verification training, consulting and services company. 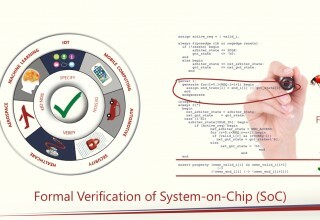 It has been founded to make formal verification mainstream in semiconductor industry by enabling design and verification engineers to learn and apply formal successfully. Founder & CEO, Axiomise Ltd.